Bone health is an extremely important topic in women’s health, especially in women over the age of 30 and those in menopause. As we age, our bone density peaks at the age of 30 and then begins to sharply decline after that. At Touchstone Imaging, we are focused on patient care, especially in women who face the risks of osteoporosis as they age. 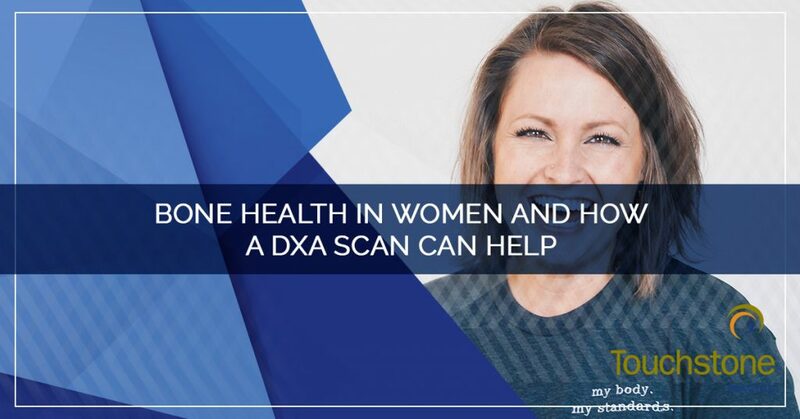 For women’s health promotion and disease prevention, we provide a bone density DXA scan to assist in diagnosing those who may have low bone density. Follow along as we explore bone health in women and how a bone density scan is imperative for women’s health prevention related to bone density. Why Are Women More Prone to Low Bone Density? Women begin to lose bone density later in life, primarily at the inception of menopause. Oftentimes, menopause and low-bone density go hand-in-hand and result in osteoporosis. Low-bone density is an outcome of hormonal changes, as these fluctuations during menopause affect your body’s natural ability to build strong, healthy bones. Estrogen is the major hormone culprit when it comes to bone loss in menopausal women. Estrogen both preserves calcium in the body and prevents bone breakdown, and in the menopause transition, a woman will lose roughly 10 percent of her bone mass, and some even up to 20 percent. While losing bone density is a normal part of life for aging women, there are many things you can do to help preserve and even possibly build bone mass. What exactly is a bone density DXA? A bone density DXA is a scan that can detect bone loss at an early stage. If you suffer from osteoporosis, it gives inclination overtime, how fast the disease is advancing. A scan is administered as a person lies on their back, while an x-ray technician positions the scanner towards your body, similar to teeth imaging at the dentist. The radiation emitted is very low, about one-tenth the amount of a chest x-ray. A snapshot of bone density is taken within the spine and hips, and other sites as well. Women are prone to low bone-density because of various lifestyle choices and risk factors and the decline of estrogen (a bone supporting hormone) as they go through menopause. Getting a bone density DXA scan can be preventative in finding thinning bones and great for monitoring women with osteoporosis to track its progression. Stay tuned for part two, where we explore how bone density DXAs are evaluated and factors that can help support bone health. To schedule a bone density DXA scan, call Touchstone Imaging today to book an appointment. Most of us will have some form of x-ray at some point in our life. Whether a childhood injury pointed to a potential fracture or a lasting cough led to a lung scan, there are plenty of reasons why someone might end up having an x-ray or MRI. Yet, this somewhat modern technology is a convenience and privilege that has had an interesting past. The history of how x-rays and MRIs came to be is a fascinating one, and it’s a story that continues to evolve.  The medical imaging team at Touchstone Imaging can bring you the professional service you need to get the answers you deserve. Our team is comprised of highly competent and trained individuals who are the brains and backbone of our state-of-the-art technology. 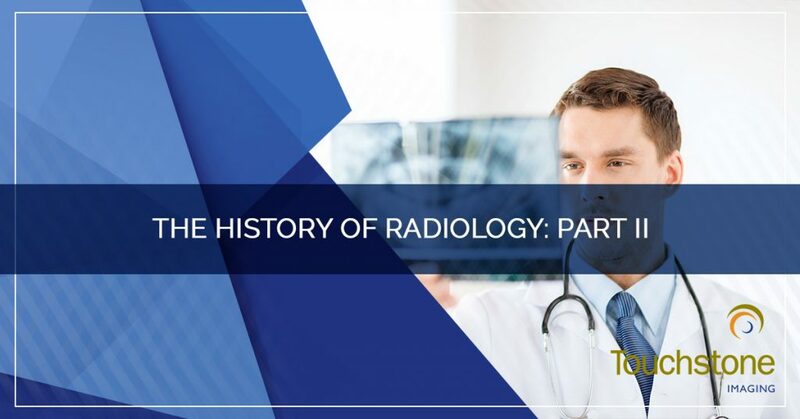 See how radiology came to be in our blog, and schedule your next visit with Touchstone Imaging! Part of what makes the journey into how x-rays and MRIs developed so intriguing is due to the earliest and most ancient medical practices. Medicine took a very, very long time to get to where it is today—and as anyone who’s had a frustrating medical experience could tell you, we’re still far from understanding all the intricacies and complexities of the human body. The earliest forms of medicine dealt with various maladies and illnesses in highly unique ways (or at least, unique by today’s standards). In ancient human times, things such as a cold or a relatively mild sickness were treated in fairly similar manners as we do today. While people weren’t exactly drowning themselves in Nyquil or Vicks VapoRub, our earliest ancestors relied on herbs and different plants to provide relief. The biggest difference came down to more serious ailments. The more severe afflictions were often thought to have a supernatural origin, such as being possessed by a demon or having a curse placed by an enemy or a god who felt wronged. A method that was practiced in several cultures, across several continents, was called trepanning, in which holes were bored into the skull. No more than 5 cm across, these holes were thought to release the demon or disease from the body. In addition to trepanning, several other remedies often involved dancing, chants, music, and recommendations from the earliest shamans to remove the evil from the body. Towards the third millennia (BCE), the world started seeing a shift from viewing sickness as a paranormal. This wasn’t the case in every culture around the globe, and to this day, there are still cultures or indigenous tribes that have beliefs in the connection between physical disease being a representation of spiritual disease. In ancient Egypt, a man by the name of Imhotep was one of the first physicians. He started as a chief minister to a pharaoh, and eventually was regarded as a god of medicine. In the 19th century, Edwin Smith was an American who studied ancient Egyptian science. His work led to the acquisition of the aptly named Edwin Smith papyrus, which was a copy of a medical treatise from 1600 BCE (the original is thought to come from 3000 BCE). As Britannica states, “It reveals the ancient Egyptians’ knowledge of the relation of the pulse to the heart and of the workings of the stomach, bowels, and larger blood vessels.” This coincides with our common knowledge of the ancient Egyptians and their religious practices. With mummification, holy priests would remove the organs and place them in special jars, showing a pretty functional knowledge of certain parts of the human body—although it should be noted that human anatomy was not intensely studied. While the earliest physicians can trace roots back to ancient Egypt, the Indus Valley civilization (also referred to as ancient India) also invested much in the art of medicine. The Vedas were a text that was dedicated to providing references and resources regarding maladies and illness. Although Hindu beliefs prohibited from cutting open a body (thus limiting knowledge of human anatomy and exploration), earliest physicians were thought to “have had a good clinical sense, and their discourses on prognosis contain acute references to symptoms that have grave import.” In fact, many anthropologists argue that between 800 BCE to 1000 CE, a form of vaccination for serious diseases was implemented. While x-rays were still a ways from being implemented, the Greeks and Romans set the stage for much of modern medicine. This was the era of Hippocrates, of whom the famous and still-used oath is named for amongst medical professionals. During this time period, some huge developments began to take place. For example, scientists started understanding that air enters the lungs, as well as the fact that blood flows through veins and arteries. This might not seem exceptionally important, but this connects back to information we still seek today. 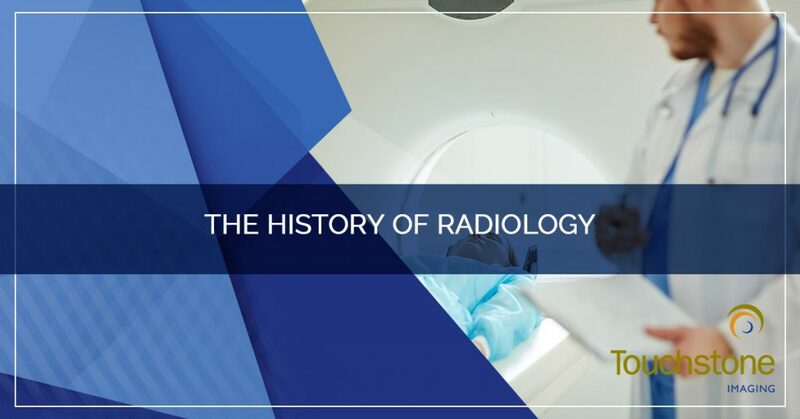 It’s even more incredible to note that these developments in understanding the internal workings of the human body were achieved without radiology, and that we still rely on this information today. When considering western civilization and medicine, the Enlightenment can’t be overlooked. A period of vast scientific achievement, the Enlightenment brought a boom of knowledge that the world had never experienced before. Especially remarkable about this epoch in the middle of the 20th century was the development of technology. In the 17th century, primitive microscopes were constructed, which gave scientists the ability to study blood vessels and bacteria. Without the technological advancements of the Enlightenment, the foundation for the modern x-ray and MRI would never have been laid. In part two of this two-part series, we’ll continue looking at the tides that began to turn the world of medicine into something more recognizable by modern-day standards. It’s strange to think about the convenience of our medical knowledge and technology, and how an illness or disease would have been treated drastically different in earlier millennia. Luckily for you, the team at Touchstone Imaging can provide you with the assistance and expertise you need for MRIs and radiology. Find the Touchstone Imaging center nearest you to schedule your appointment for x-rays, CT scans, ultrasounds, and so many other radiology services—we look forward to working with you! 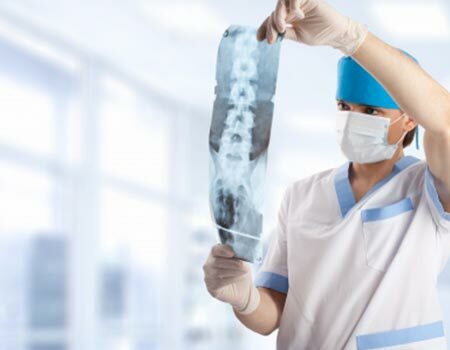 Medical imaging is an extremely important and needed medical modality, as it helps decipher broken bones, bowel obstructions, cysts, and cancer. 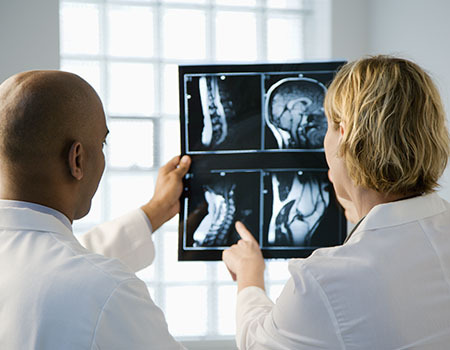 The information that X-rays, MRIs, and CT scans provide to both the patient and physician are invaluable in understanding the information each one provides is crucial. 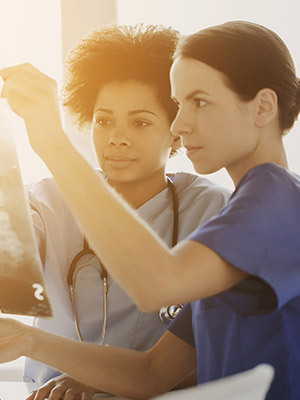 If you’re advocating for your health it’s important to know if the medical imaging is needed, so asking the right questions helps empower you and give you the information to make informed decisions. If this is your first time experiencing medical imaging it can be intimidating, but rest assured, there is nothing to be worried about. The procedures are short and painless — in fact, you may even get to take a cat nap while undergoing the procedure! 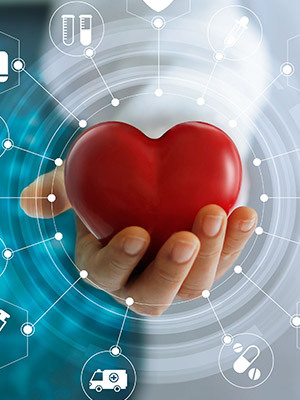 This post is to help guide you so you can make the best-informed decisions on your health, along with your doctor, when it comes to medical imaging. 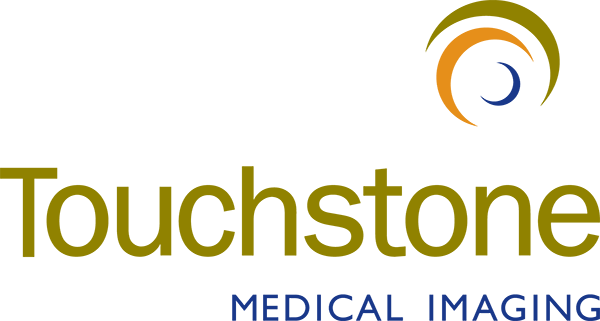 At Touchstone Imaging, our guiding philosophy is patient-centered care from little details such as scheduling and insurance assistance to effective and efficient scanning and accurate reports — our office is about the individual. 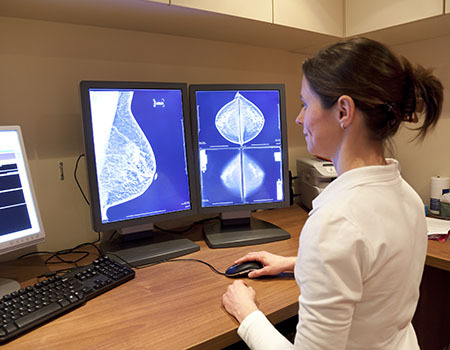 Comfort and care is our priority in the many medical imaging services we provide. 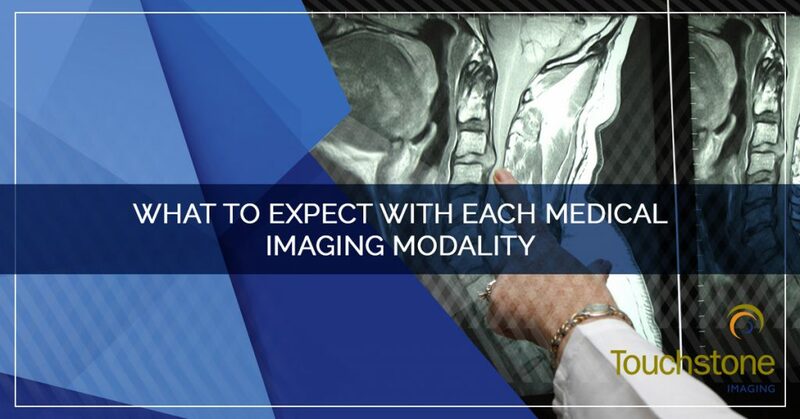 Follow along as we address important questions to ask before your medical imaging appointment. Many patients have nerves over having to have medical imaging performed, and the machines themselves don’t help! The medical imaging machines can be intimidating, but most of the time they are just loud. Other than parading around in a beautiful and fashionable hospital gown, the risks aren’t questioned too much when you go in for your procedure. The amount of radiation is the most concern patients have when getting medical imaging and potential increased cancer risks. The FDA has concluded that the risk estimates are very low, even when compared to the natural risks of getting cancer. The takeaway message, is generally the benefits outweigh the risks. Whether you’re getting a CT scan or MRI, you’re exposed to an energy source such as radiation or magnetic fields. Ask your healthcare practitioner if there are side effects such as allergic reactions to the imaging dyes. Is the medical imaging necessary? 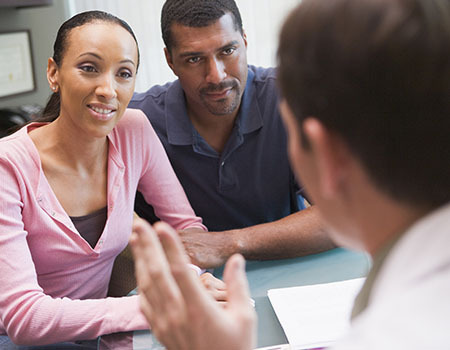 Another important decision to make in partnership with your doctor is if the medical imaging is completely necessary and if there are any alternatives. When your doctor recommends medical imaging, it is likely needed. If you have lost mobility in your limbs and your speech is slurred, there is no question that your doctor will order medical imaging to confirm what they see as a stroke, or, if you complain of potential appendicitis missing this because a scan wasn’t ordered carries a much harmful risk over getting a scan. There are scenarios where if you have had medical imaging services to diagnose a condition that you currently have an additional scan won’t necessarily influence the course of treatment, so having an honest conversation with your doctor about what is best is crucial. Will the results change the course of my treatment? If additional scans are needed, how can we reduce my radiation exposure? In most cases, medical imaging isn’t urgent. You can assess your health issue over a set amount of time to see if it resolves itself, if it hasn’t, you may need medical imaging for more conclusive results. If the imaging is urgent, your doctor will let you know, and you can schedule it accordingly. What is the medical imaging facility like and what is their reputation? Do they have assistance for people who suffer from claustrophobia? Is their medical imaging technology current? 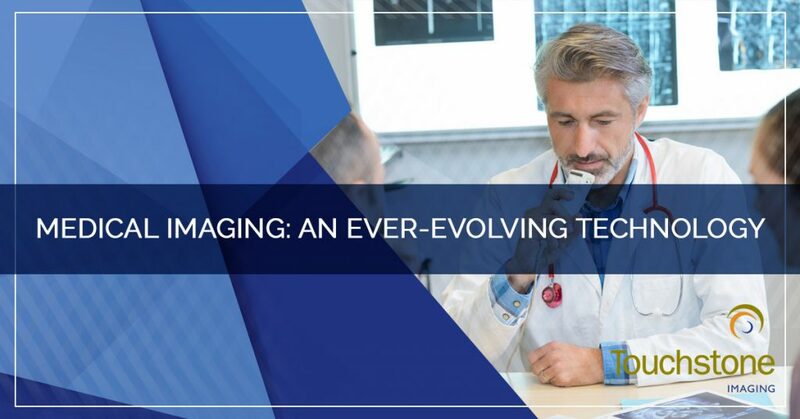 Medical imaging is an important piece to many healthcare puzzles as it provides insight into what is going on internally. As a patient, it’s always important to stay informed and be an active participant in your health, so asking questions will always be of benefit to you. 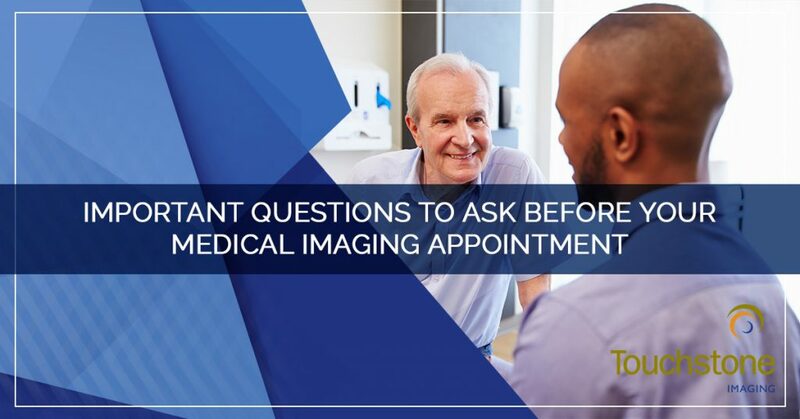 Important questions to ask before your medical imaging appointment would be to ask if any risks or side effects are involved if the testing is urgent, and if the imaging is necessary. Further questions to ask your healthcare practitioner about would be asking about lower-radiation options, how long it takes to receive results, and if their technology is current. As a patient, it is important to ask questions about the medical care you’re receiving, it’s not only empowering but it helps you understand why and how decisions are being made. We’re here to give you the best individualized care in medical imaging, so please, if you have any questions or concerns let us know. To schedule a service, give us a call today.